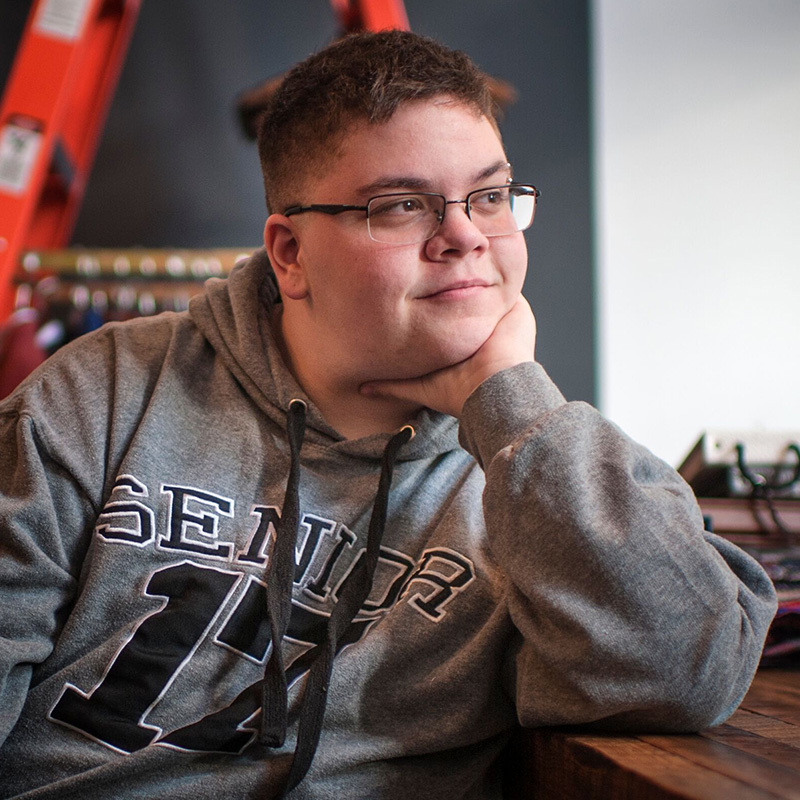 Gavin Grimm is a student and activist who successfully sued his school district in Federal court after the Gloucester County School Board voted to adopt a discriminatory policy that would have segregated transgender students from their classmates. After coming out as transgender during his sophomore year at Gloucester High School, and with his principal’s permission, Gavin used the boys’ restrooms at school for almost two months without any problems, until a handful of parents went to the school board to complain about him. The school board voted to ban Gavin from using the boys’ restrooms at school. With the help of the American Civil Liberties Union, he sued his school. After a loss in Federal District Court, his case was favorably appealed at the Fourth Circuit Court of Appeals and the lower court ruling was overturned. The court ordered the school district to defer to guidance from the Obama administration’s Department of Education that required them to allow Gavin to use the bathroom matching his gender. His case worked its way up to the Supreme Court and was set to be argued in March 2017 before the Supreme Court announced that it would send his case back to the Fourth Circuit Court of Appeals to be reconsidered after the Trump Departments of Justice and Education rescinded the Obama-era Title IX guidance clarifying protections for transgender students. After graduation in 2017, Gavin filed an amended complaint with the district court for damages and a declaration that the Board violated my rights under Title IX and the Equal Protection Clause. The amended complaint also asks for an injunction to allow him to use the boys’ restrooms when he is on school grounds for alumni activities. At present, the district court has not yet ruled on the School Board’s motion to dismiss the amended complaint.